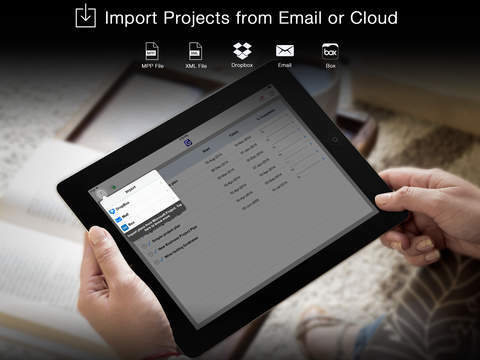 Import and Edit your Microsoft Project plans on iPad. Sign in and link to your Dropbox account to sync your projects across multiple devices. 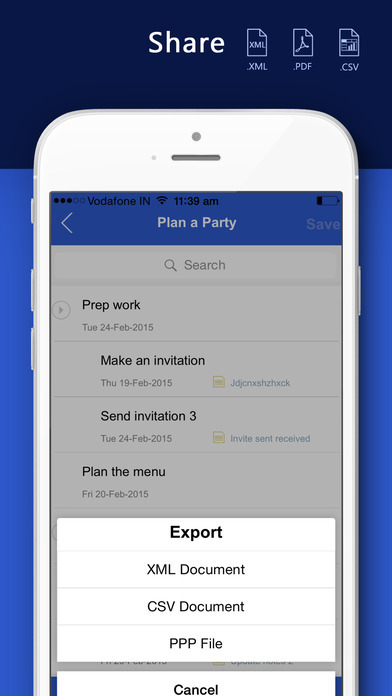 Share your Dropbox project folder with all the stakeholders to push project updates to your team instantly*. Import Microsoft Project plans as XML or MPP files using Email, Dropbox, BOX or iTunes. - Supports .MPP file created in Microsoft Project 2010 and above. - Supports .XML file create in Microsoft Project 2007 and above. 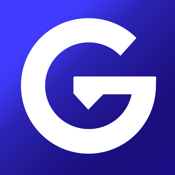 This app enables project managers and planners to view Gantt in an interactive way. It provides flexibility to manage your projects while you are out of office or in meetings. * Sign in and link your Dropbox account. * The app will create a folder called GanttXML automatically if it does not already exist. * Save your Project.xml or Project.mpp to the GanttXML folder. Note: .mpp files will not sync to Dropbox. You can share your Dropbox project folder (GanttXML) with multiple users or project stakeholder. Projects saved in this folder will be available for all the users the folder is shared with. Any updates to projects in the shared folder will get pushed to all the devices that downloaded the project from this folder. Note: The collaboration feature has some limitations. Multiple users updating the project at the same time could result in conflicts. * Edit and Update all available fields. 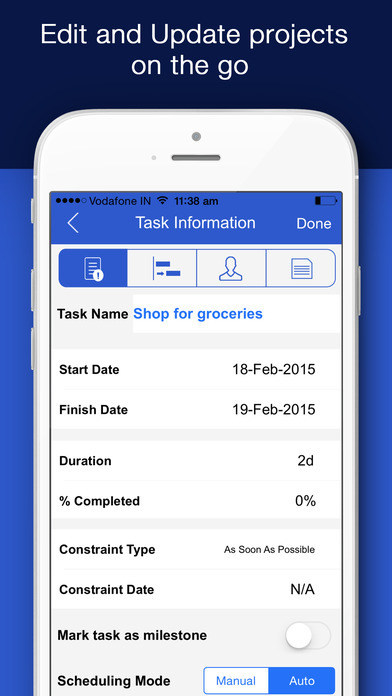 This App has been developed based on valuable feedback we received from Project Management Community. Your feedback, comments, reviews and ideas help us improve Gantt Pro. We would like to hear from you.